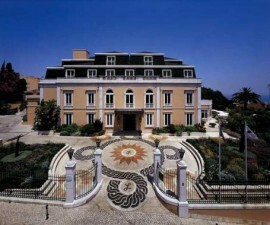 The HF Fenix Garden is a relatively new hotel in Lisbon, having been inaugurated as recently as 2008. It is a three-star hotel built and decorated in a modern, sophisticated style and offering all the facilities you need to enjoy your city break in Portugal. There are 94 rooms in total at the HF Fenix Garden, including standard and superior rooms with double or twin beds, and a terrace room with even higher standard facilities. All rooms offer free Wi-Fi connectivity as well as flat-screen TV with cable programming including sport channels, along with en-suite bathroom, complimentary toiletries and safety deposit box. 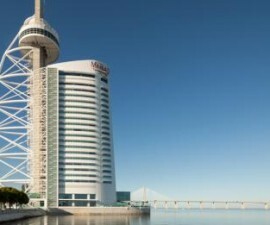 Additional services for guests at this comfortable hotel in Lisbon include laundry service, luggage deposit, business centre with fax and photocopying facilities, free Wi-Fi connectivity throughout the building, private parking under cover with 24-hour access, shuttle service, car hire facilities and a tourist information service with ticket sales for some of the leading attractions in Portugal’s busy capital city. Breakfast at the HF Fenix Garden is taken downstairs on the lower ground floor and is served buffet style. Choose from a wide range of cereals, sweet breads, fruit and fruit juices and other Portuguese favourites to set you up for a day of business meetings, sightseeing or even a day out on the local beach. There is no formal restaurant at the HF Fenix Garden but this hotel in Lisbon has the added benefit of sharing the facilities of its sister establishment and near neighbour, the HF Fenix Lisboa. The Espaco Jardim restaurant at the HF Fenix Lisboa offers preferential dining to HF Fenix Garden residents and offers some of the tastiest hotel dining in the city. Guests travelling with children can benefit from the hotel’s babysitting service on request, and thanks to its central location the hotel provides easy access to many family-friendly activities and sights in and around Portugal’s capital. 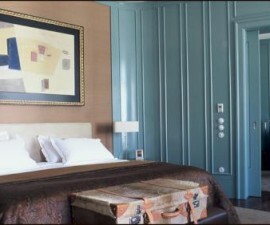 For those wishing to simply get out and about and discover the city’s many monuments and historical buildings, the hotel is excellently placed. The Parque Eduardo VII metro is located almost on the doorstep, connecting you to the far corners of the city, while the Praca do Marques de Pombal and the Avenida da Liberdade are just a stone’s throw away from the HF Fenix Garden’s modern and welcoming front doors.